No need to put on that stinky plate carrier anymore. Days of wearing a helmet that has seen too many +100deg temps are over. There’s nothing quite like clean sports gear. 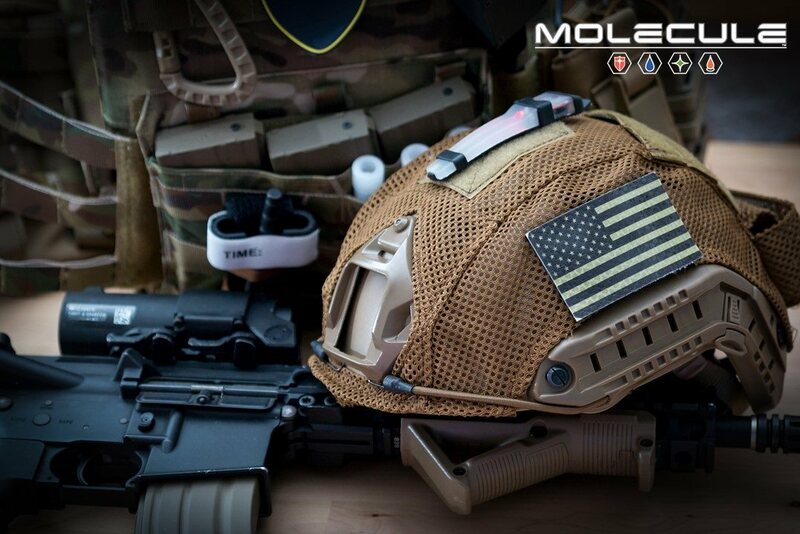 The uses for Molecule in Tactical application range from keeping your hard to clean equipment odor free with REFRESH, to laundering highly technical tactical fabrics in WASH.
Molecule’s renowned Anti-Fog formulation has proven keeping race drivers, hockey players and paint ball competitors vision clear. Flammable absorption is a significant issue into FR and Nomex materials. Proven in the lab and tested by SFI, Molecule PROTECTOR is your barrier to maximize your protective garments efficacy. From firefighters to the U.S. Marines at Camp Pendleton, Molecule backs our men and women in uniform, not just your favorite athlete. The rigors of police, fire and military work challenge the toughest of apparel. Molecule is on your side to keep our everyday heroes out of harm’s way. This entry was posted in Tactical. Bookmark the permalink.